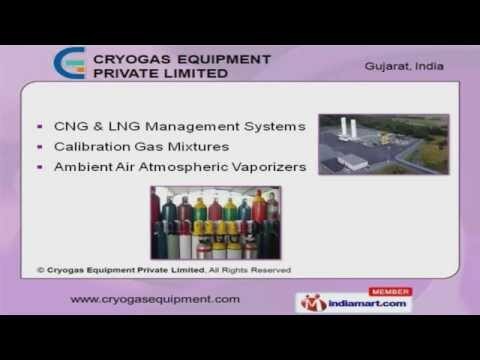 Welcome to Cryogas Equipment Private Limited Manufacturer & Exporter of Cryogenic Vaporizers and Gas Filling Stations We are an ISO certified company, established in 2009 at Vadodara. We have spread our wings to Indian Subcontinent, Middle East & other countries. Arebiyan Fantol Glass & Obeikan Glass Company are some of our esteemed clients and we are backed by competitive prices & total customer satisfaction. We offer a wide range of Vacuum Insulated Pipelines & Turnkey Cryogenic Installations. Our Liquid Argon & Turnkey Gas Bottling Stations are extremely reliable. Calibration Gas Mixtures & Ambient Air Atmospheric Vaporizers offered by us are widely acclaimed in the market. We also provide Industrial High Purity Gases that are available at industry leading prices. Our Industrial Cryogenic Valves & Mobile Liquid Cylinders are a class apart. Along with that we offer Liquefied Natural Gases that are in huge demand across the global markets.